Luminous Electric was formed in 2015 by Luke Lesnansky & Cameron Jagger, two electricians who met in the apprenticeship and excelled together quickly; perfecting their abilities and advancing rapidly through the ranks and into leadership roles with ease and aptitude. It was when the pair completed the apprenticeship that they eagerly looked for a new challenge, starting their own shop. Cameron and Luke are the co-founders and owners of Luminous Electric since its inception in 2015. Safety, transparency, and respect for their team members, G.C.’s and contractors alike are the pillars in this successful Colorado small business. The contrast between Luke and Cameron’s critical analysis and leadership styles ensure that all spectrums of any project receive full attention and the final product is unblemished and immaculately executed. 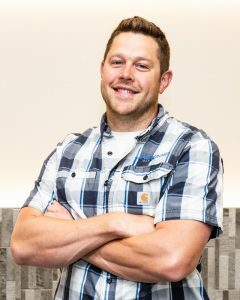 Luke brings over a decade of electrical construction industry expertise and field experience that gives him an unparallel edge as the Lead Estimator. Luke’s accomplishments in the field allow him to foresee project complications before they arise. It is his attention to detail in job walks, estimating and final bidding that infuses value to the bottom line for all parties involved. This above and beyond attitude translates in numerous areas from client relations, effectively managing change orders and keeping the critical path schedule. Luke’s exceptional communication skills make him a pleasure to work with from initial contact to successful project completion and beyond. Cameron is responsible for leading the Luminous Electric team in safety and flawless project execution in the field. It is his years as a pioneer in electrical construction that allow his critical faculties to cut costs in pre-fabrication and save time on the critical path. Cameron’s leadership style insures that the Luminous team safely engineers inspection ready projects seamlessly. Over a decade of experience in the electrical field and countless peer nominated leadership positions have rounded his project management style to ensure timely completion and total satisfaction on projects large and small. Providing incredible value for your budget. Executing work safely and efficiently. Innovating to save time & maximize budget. We’ll help you make the most of your project’s electrical budget using experience-driven innovation. In 2016, Luminous Electric moved our electrical panel. We were so happy and satisfied with their work that when the time came for us to do a major remodel of our main floor in 2017, we did not hesitate to give Luke and Cameron a call. They are professional, honest, reliable, and I feel very comfortable trusting them in my home. They and their crew are good guys! I worked with Luminous Electric on the Piper Jaffray project. During this project, Luminous was very nice to work with. Piper was an occupied office space and was not an easy project when it came to scheduling with so many moving pieces. I had no issues with responsiveness, quality of work, or professionalism. Luminous was great at making the very fluid schedule work and actually got me out of a couple pickles with the owner by coming in on the last minute request at 4 am and that was greatly appreciated. One of the things I appreciate most about Luminous Electric is excellent communication. When I get an email or phone call indicating you in, or are following up after one of your planning meetings, and want to make sure I am ready, or need to confirm some detail, and are letting me know your schedule, it is a great feeling – especially in this ridiculously busy construction economy we are currently enjoying (dealing with). I always appreciate the quality workmanship and cleanliness your crews provide and look forward to working with you into the future. I’ve had the pleasure of working with Luminous Electric in preconstruction and estimating. The Luminous team is quick to jump into new projects, attend job-walks, and get into the details to put together a thoughtful, well organized proposal. 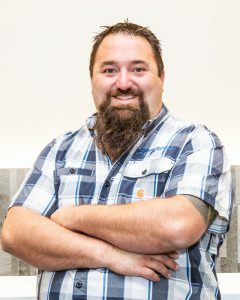 They strive to avoid change orders from missed scope and internal errors, and Luke’s sense of humor makes him a joy to work with. I look forward to working with Luminous more in the future. In 2016, Luminous Electric moved our electrical panel. We were so happy and satisfied with their work that when the time came for us to do a major remodel of our main floor in 2017, we did not hesitate to give Luke and Cameron a call. They are professional, honest, reliable, and I feel very comfortable trusting them in my home. They and their crew are good guys. It is with much enthusiasm that I am writing to recommend Luke and the entire crew of the electricians at Luminous Electric. IBC Holdings has been using Luminous Electric for an office remodel projects at our properties for several years and we have always been satisfied with their performance. They do an excellent job, are respectful the tenants in occupied buildings and offer very competitive rates. Luminous also goes above and beyond with helping to specify fixtures and assisting in Xcel Energy rebate programs. We would not hesitate to refer Luminous Electric to other organizations who are in need of quality electrical services. Spyder Construction has been working with Luminous Electric for the last couple of years. We are very happy with their responsiveness, organization, quality, and pricing. They are a very reliable contractor for Spyder and are one of our most consistent trade partners. I would highly recommend working with Luminous for your electrical needs. Luminous Electric, Thank you for all your support and hard work. Since joining forces your company has greatly helped Weber Services & Construction, LLC grow and become more competitive in the thriving Denver market. You guys have been nothing short of stellar from your professionalism on site and off. We appreciate your attention to detail, your availability, and your patients. You guys make our job much easier. My records show we have done a little over $1m dollars of electrical work together on about 90 different projects. That is a strong relationship. As we grow as a business it’s great knowing we have a great contractor in Luminous by our side.